SFR Skates Official Blog: X-FACTOR: NICOLE SCHERZINGER GET'S INTO THE DISCO THEME! X-FACTOR: NICOLE SCHERZINGER GET'S INTO THE DISCO THEME! 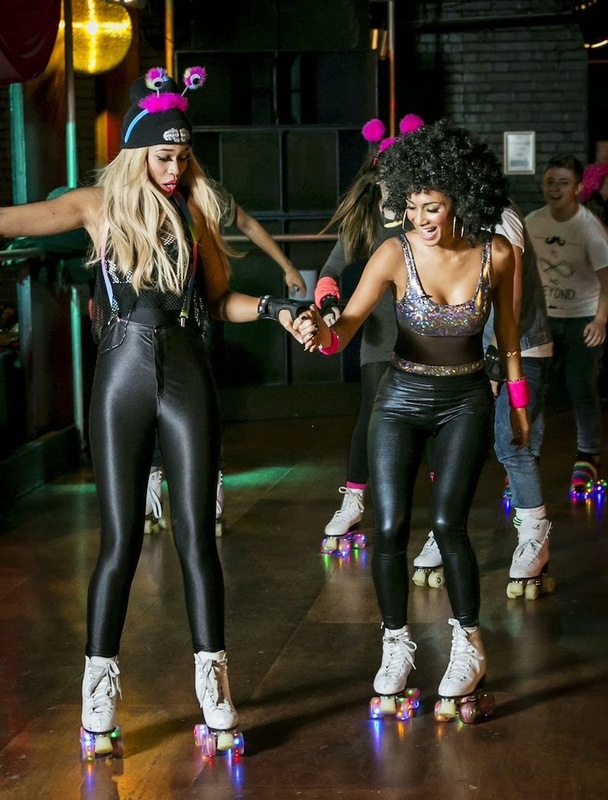 In the lead up to the Disco week on XFactor, Nichole Sherzinger took her contestants along to join the rest of the X Factor team at the Renaissance Rooms Roller Disco in London, to get into the Disco Diva groove! 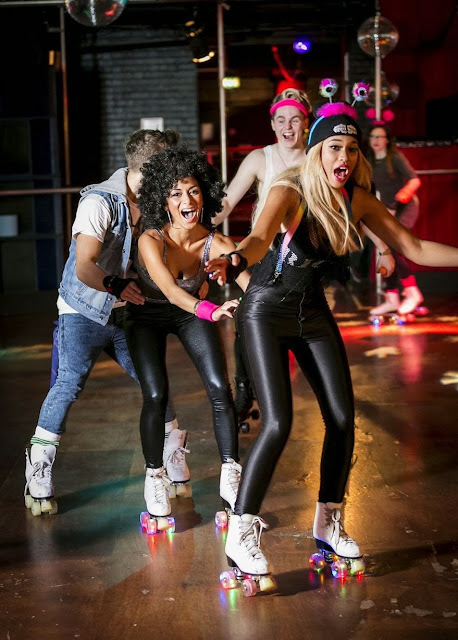 Judging by these fantastic photos, curtesy of the Mirror online, they all had a blast as they zoomed around the roller disco in SFR Cosmic skates and SFR dual splint wrist guards. Our skates certainly seem to be popular with X Factor, as they have been used by contestants and backing dancers in a couple of the shows now! We think it's safe to say that our skates have the X Factor!! For more great images check out the Mirror online.